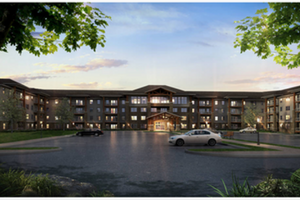 From the 19,999 seat Bank of Oklahoma Center to a multifamily retirement center, we are proud to say Tradesmen skilled craftsmen have helped the Tulsa area continue to grow. When it comes to construction staffing in Oklahoma, we’re confident in saying that there’s no more elite workforce than Tradesmen’s. 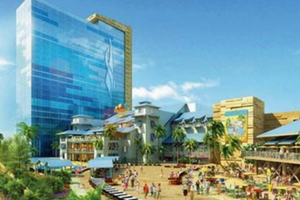 Tradesmen provided three different customers with ironworkers, interior finishers, glaziers, carpenters, and construction laborers to bring River Spirit Casino Margaritaville to completion. Both Tradesmen Tulsa Craftsmen and Oklahoma City Craftsmen teamed up with the plumbing contractor to provide over 30 skilled plumbers for this multifamily retirement complex located in Stillwater, OK.
A team of Tradesmen Craftsmen, including HVAC Technicians, Electricians, Carpenters, and Construction Laborers, worked with three different contractors to help Camp Gruber ORTC (Operational Readiness Training Complex) become a reality. 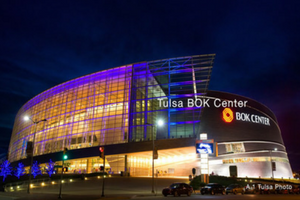 With a 19,999 seat capacity, The BOK Center (Bank of Oklahoma Center) is a multi-purpose primary indoor sports arena and event center in Tulsa, Oklahoma. 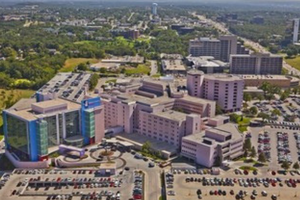 A general medical and surgical hospital in Tulsa, St. Francis Hospital has 841 beds and averages over 40,000 admissions and 90,000 emergency room visits a year. 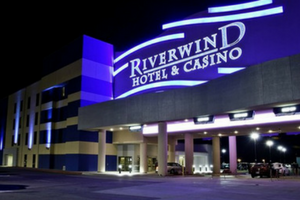 Located in Norman, Oklahoma, the Riverwind Hotel and Casino is a premier entertainment venue, hosting a wide range of games, theater events and restaurants. 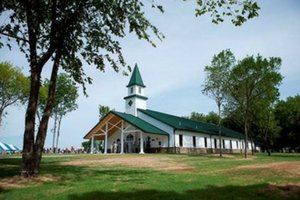 Since the early 1990’s, Tradesmen International has been recognized as a national leader for reliable, skilled craftsmen and construction labor. With a dedicated staff and office in Tulsa, we’re committed to making an impact across the state. To take advantage of our proven pool of skilled craftsmen, or learn more about Total Labor Support, give our team in Tulsa a call at 918-743-8537 or visit our local office web page.